Now it is getting worse. 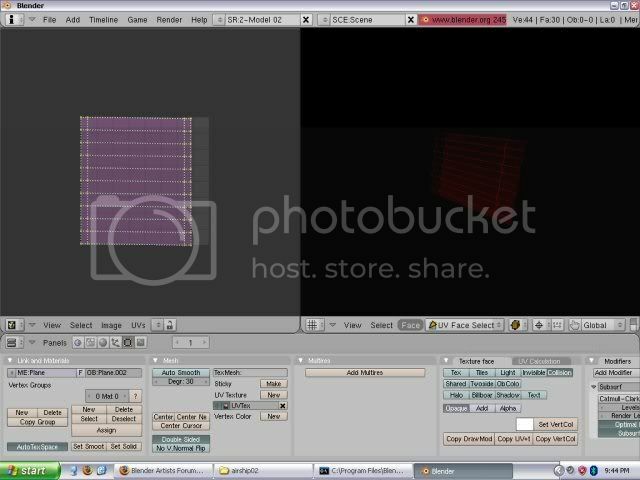 When ever I am in edit mode and try to resize an object all of the frames in edit mode flicker something awful. EDIT: It also seems to do the flickering thing whenever I mouse over any button on the entire Blender screen. Does it still happen when you delete the Subsurf Modifier? If so it sounds like a Driver or Hardware Acelleration settings on your video card. I just ran a test and it still flickers when the subsurf modifiers are absent.